The bench also wanted to know if the Debt Recovery Tribunal had been able to sell the real estate company's properties. 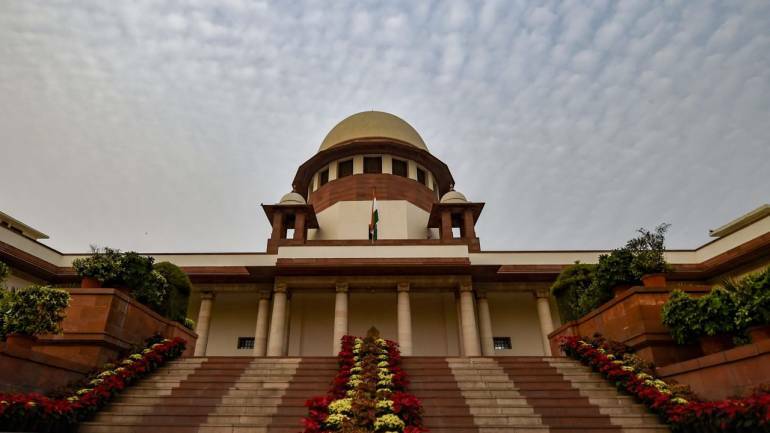 The Supreme Court on February 11 directed the government's construction arm NBCC to float advertisements to sell unsold inventory in two of Amrapali's projects – Eden Park and Amrapali Castle – and utilise the proceeds to complete them. The next date of hearing is on February 14. NBCC informed the apex court that work had begun on Eden Park and Amrapali Castle. There are a total of eight unsold properties in the two projects that can be put on the block - three flats in Castle, four residential and one commercial in Eden Park, legal sources said. The apex court last month had directed NBCC to start work on two unfinished projects. The apex court had given the PSU the task to bail out stuck home buyers last year by completing the unfinished Amrapali projects following which NBCC had survey all the projects and informed the court that it would require Rs 8,500 crore to complete all the projects. The bench also wanted to know if the Debt Recovery Tribunal had been able to sell the real estate company's properties. It was informed that there were no bids received for land in Vrindavan and Tech Park hotel as banks were apparently not willing to finance buyers for these properties. At the hearing, DRT had sought clarification from the court if the land reserved for schools or milk booths can be sold for commercial purposes to which the court said that land use cannot be changed, lawyers present at the hearing said. The court also heard the JP Morgan issue and said that it would pass a detailed order on February 14. Last month, the top court had brought under its scanner multi-national firm JP Morgan Real Estate fund, which had invested Rs 85 crore in Amrapali Zodiac in 2010 by purchasing its share and later selling those shares to the sister companies of reality firm. Forensic auditors had pointed out that shares purchased and agreement of JP Morgan Real Estate fund and Amrapali Group were in violation of the provisions of law. "After investing Rs 85 crore in purchasing the shares of Amrapali Zodiac with an agreement which was impermissible in law they again sold those shares for Rs 140 crore to little known companies Neelkanth and Rudraksh which were owned by Chandan Kumar and Vivek Mittal who worked in the office of Amrapali statutory auditors. These two companies were sister companies of Amrapali Group," the forensic auditors had informed the court last month. To this, the bench had told the counsel for JP Morgan and its India in-charge that the company needs to explain lot of things. At the hearing, Noida Authority submitted that if their payment is made or is secured through some mechanism, they may consider granting occupancy certificates and register the project. Lawyers representing homebuyers argued that payment may have to be secured but the law does not require payment of dues as a precondition for grant of OC and going ahead with registration. Last month, the apex court had also asked the forensic auditors to verify the total dues of both the Noida Authority and the Greater Noida Authority. The apex court had also said that it would hear the argument on the execution of sub lease deed for the Amrapali residents belonging to category A projects. During the hearing held in the beginning of January this year, the court-appointed auditors had told the Supreme Court that posh flats were booked on sums as low as Re 1, Rs 5 and Rs 11 per sq ft in the name of over 500 people. The audit had found that 23 companies were floated in the name of office boys, peons and drivers and these firms were part of Amrapali consortium and were made fronts to divert home buyers' money. The two forensic auditors had told the apex court that they have issued notices to 655 people on whose names 'benami' flats were booked but no one was found in 122 such locations. The interim report of forensic auditors which was submitted before a bench of justices Arun Mishra and UU Lalit had said that Chief Financial Officer (CFO) Chander Wadhwa had transferred Rs 4.75 crore to "unidentified persons" just three days before he deposed before the top court on October 26, last year. The court had also asked the forensic auditors to produce the orders of Income Tax department which during its search and seizure conducted in 2013-14 had recovered Rs 200 crore bogus bills and vouchers besides Rs one crore from Amrapali Group CMD Anil Kumar Sharma and Rs one crore from director Shiv Priya. Another forensic auditor Ravi Bhatia had told the court that Amrapali Group had appealed against the IT order which had deleted the paragraph which mentioned of Rs 200 bogus bills and vouchers raised on account of purchase of raw materials. The apex court had on December 12 last year, asked the two forensic auditors to examine the trail of around Rs 3,000 crore, the home-buyers' money allegedly spent by the Amrapali Group on buying shares of its sister companies and asset creation. It had directed the forensic auditors to ascertain the numbers of flats which were 'benami' property, doubly booked or booked on a nominal value by Amrapali Group. The apex court had earlier initiated contempt proceedings against Sharma and its directors for prima facie violating court's order and thwarting the course of justice.